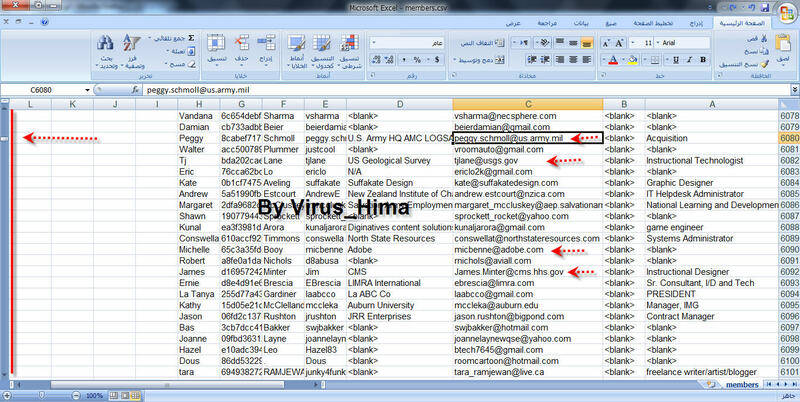 Hacker Virus Hima, a Egyptian Hacker claims to hack one of Adobe servers and have Gained full access to it and even had Dumped the Database of ADOBE. Dump contains over 150,000 Emails,Passwords with full data for a lot of Adobe customers and partners including Emails and Passwords for "Adobe Employees", "US Military", "USAF", "Google", "NASA", ".Edu" and many many more companies around the world! According to Hacker "The motive of Hack" was not to ruin Adobe business so he just leaked emails of @ "adobe.com", "*.mil", "*.gov" domain with Screen Shot as a proof of concept. "Adobe is a very big company but they don't really take care of them security issues, When someone report vulnerability to them, It take 5-7 days for the notification that they've received your report!! . It even takes 3-4 months to patch the vulnerabilities! such big companies should really respond very fast and fix the security issues as fast as they can. " "Don't be like Microsoft, Yahoo security teams!! but be like Google security team" Qouted from Hima. Source: PasteBin post by Hacker "Virus Hima"